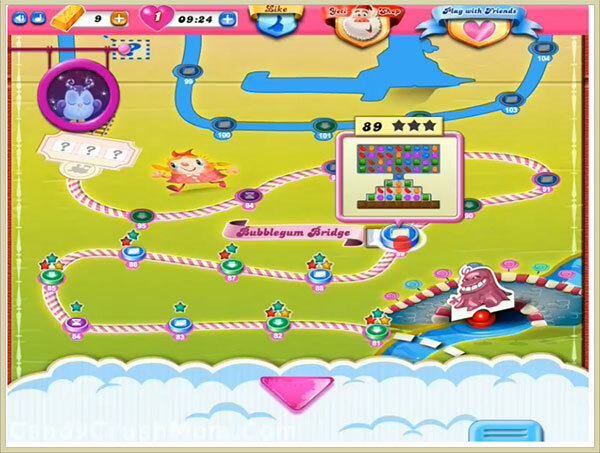 This level have little complicated candy board and have 24 jellies plus 9 jellies in chocolate. First you should try to break black blockers and then all chocolates so they increase and waste your moves. As you will have no chocolates you can easily break jellies as you have 50 moves. Try to use your remaining move in breaking jellies or in making special candies. We completed this level with 125180 score within 43 moves and rest moves converted to fish booster plus we got single colorbomb that help to get two star score.